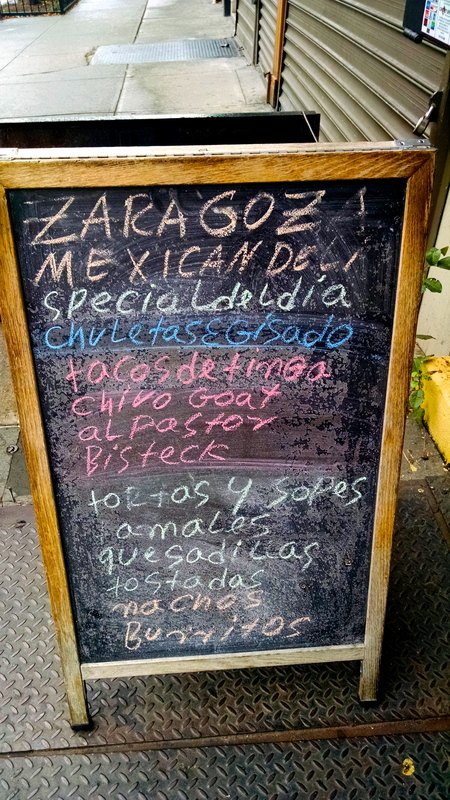 I went to Zaragoza’s this afternoon to pick up a few Mexican ingredients. My friend Sam took me to this little deli in Alphabet City several years ago, and I haven’t been back since. 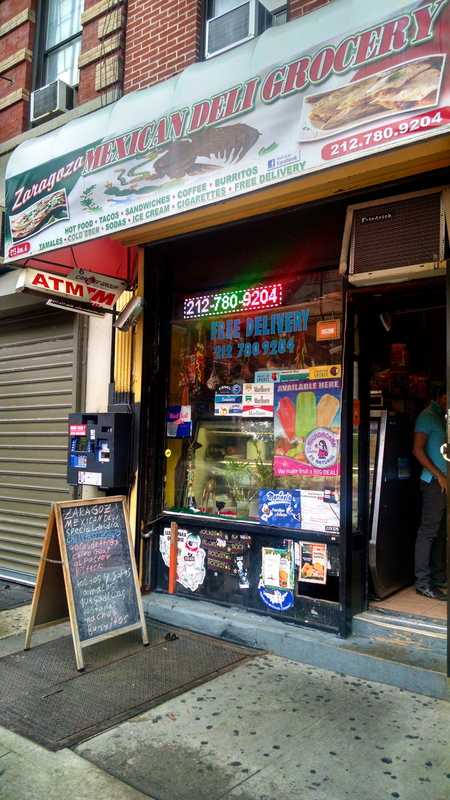 I’m making tacos for dinner tonight and figured it could be fun to revisit this tiny bodega and see if it lived up to my memories. So I made my way to the East Village to load my bag with dried chilis, corn tortillas and Mexican spices. While I was searching for my ingredients, a man came in and placed an order. I turned to watch Martinez, the store owner, quickly put together four giant burritos behind the tiny space of the front counter. He layered seasoned rice, pinto beans, spicy pork, crema and lettuce, then adeptly folded the burrito in the same small styrofoam container he plated it in. 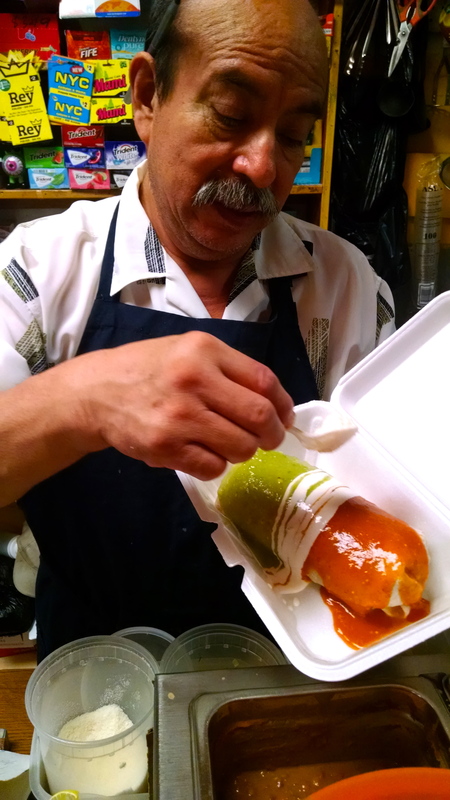 He smothered the burrito in salsas, a patriotic nod to his mother country. 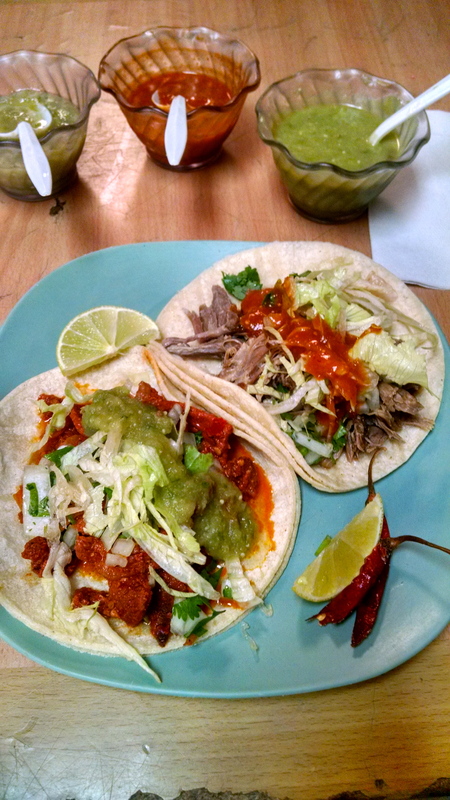 I hadn’t intended on eating anything while there, but his braised goat and spicy pork tacos were too tempting to pass up. I ordered a plate and sat in the back of the bodega for a quick snack. You don’t go to Zaragoza’s for service or ambiance, but it’s charming and special in it’s own “hidden gem” kind of way. And Martinez’ smile doesn’t hurt.